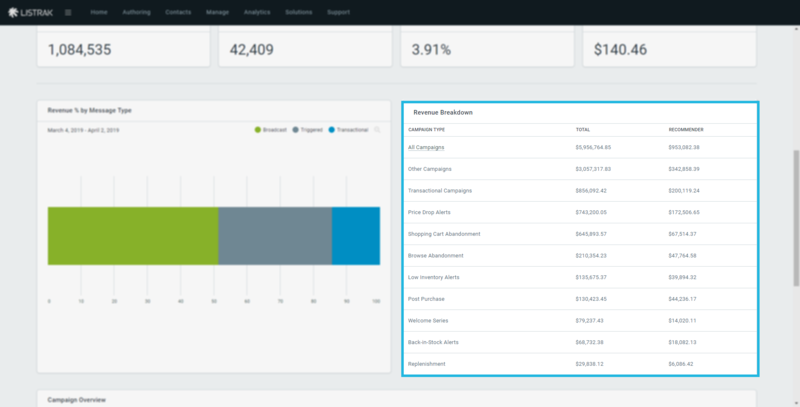 Learn more about the switch to Analytics Campaign Types in the Listrak application. 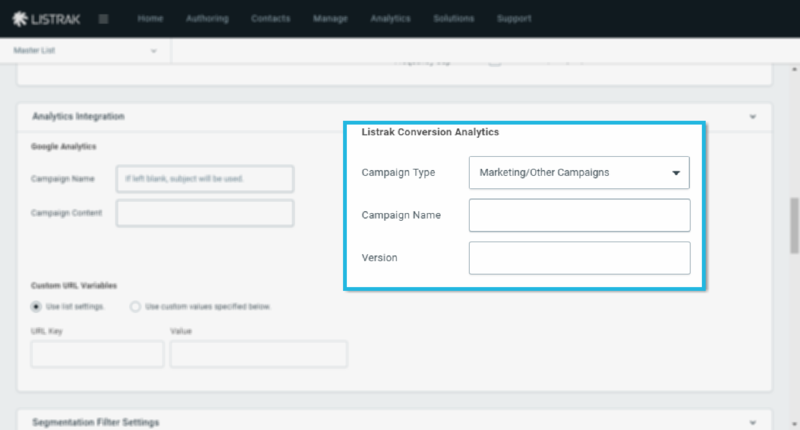 The analytics module has been replaced with Analytics Campaign Types in the Listrak application. The label change will appear on the authoring page and conversion dashboard. The following sections specify the areas within the application that are affected and how. Analytics Module appear as Campaign Type. 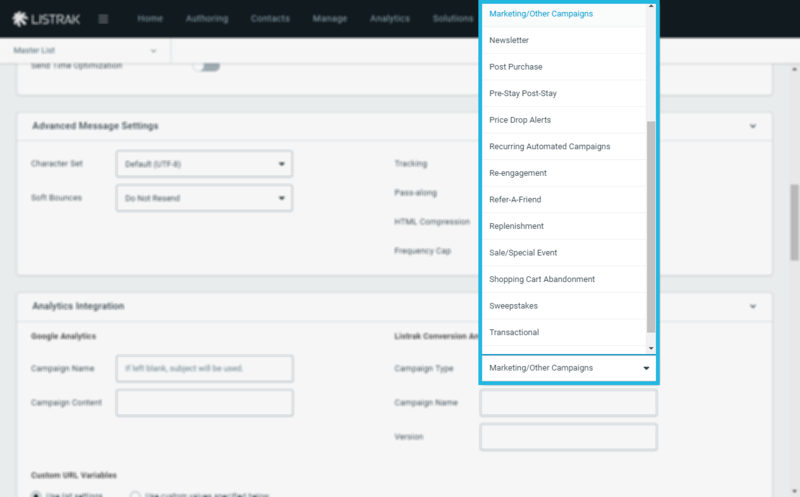 Listrak has added additional campaign types to the Analytics Campaign Type drop-down menu on the authoring page. This will allow you to better categorize your campaigns for reporting purposes. 2. Go to Conversion Dashboard. You will now see Campaign Type instead of module.